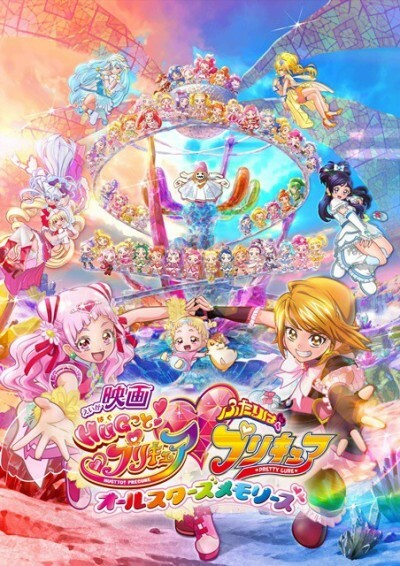 The new film's theme is "memories," and will it will feature 55 Precures. The above poster features seven Precures from the Precure franchise's most recent installment Hugtto! Precure and the franchise's first installment Futari wa Precure, as well as 48 SD versions of other Precures.